Donald Trump greets supporters after speaking at a caucus night watch party at the Treasure Island Hotel & Casino in Las Vegas, Nevada. Trump is favored to do well Super Tuesday. More than a dozen states vote Tuesday, and almost 1,500 delegates are at stake. It&apos;s the biggest day of the 2016 presidential election, and it could be pivotal. Seven southern states are voting Tuesday — Alabama, Arkansas, Georgia, Oklahoma, Tennessee, Texas and Virginia. That means on the Democratic side, black voters will play a pivotal role. (Six of those states, except Oklahoma, have significant black populations in Democratic primaries.) But for the GOP, those same southern states mean a more socially conservative, more religious electorate. But there aren&apos;t just southern states. There are also a few liberal-to-moderate ones, like Vermont, Minnesota, Massachusetts and Colorado — places Vermont Sen. Bernie Sanders, on the Democratic side, and Marco Rubio, on the Republican side, hope to fare better in. Scenario 1: Clinton wins big, sweeps the southern states fueled by black voters. 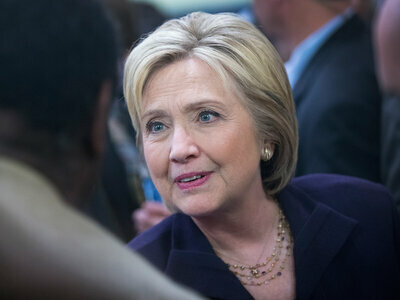 She pulls away from Sanders in pledged delegates, especially after a win in delegate-rich Texas, and appears well on her way to the nomination. Sanders will have a big hole to climb out of, especially because all Democratic states award their delegates proportionally. The math will make it increasingly challenging, if not impossible, for Sanders. Scenario 2: Sanders holds serve in whiter, more liberal states and cuts into Clinton&apos;s margins with African Americans and Hispanics, even pulling off a win in a place like Colorado and keeping her delegate advantage to a minimum out of Texas. He mitigates what could have been a disastrous day and lives to fight on. Money continues to roll in, and even though he likely trails in delegates, he&apos;s not tremendously far behind. His message resonates in other, more liberal states to come – and a path is still conceivable. Scenario 1: Trump has another yuuuge day. He sweeps the South, is competitive with Cruz in Texas, if not beats him, even wins or comes close in places like Minnesota, Massachusetts and Vermont. He expands his base, looks more like the apparent nominee and makes it a very difficult, narrow path for Marco Rubio, who is hoping to rack up wins in winner-take-all states to come on March 15 and beyond. Scenario 2: Trump is wounded. Cruz wins in at least some southern states where Trump was favored, and Marco Rubio holds serve with more moderate Republicans and pulls off a couple wins. The narrative changes. Cruz would be pulling delegates from Trump, and Rubio&apos;s path becomes very clear. Scenario 3: Mix of Scenarios 1 and 2. Trump&apos;s wins are not quite as big as Scenario 1, but he still wins the day. Cruz holds &apos;em in Texas. 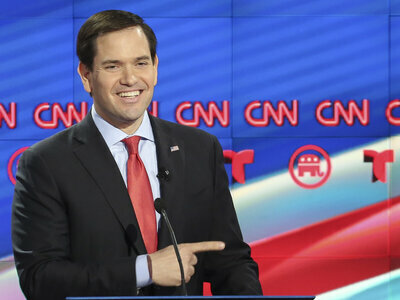 Rubio picks up a couple of wins in more moderate states. And all three declare victory and continue on in a potentially protracted race. Scenario 4: John Kasich surprises Rubio in places he was favored in more moderate states. Trump holds, or he and Cruz split, and the establishment moves more toward Kasich. This is the least likely scenario.